German KETZER will release a brand new 7″ featuring two new songs November, 27th. Both songs (“Starless” and “Count To Ten”) were recorded during a demo session in December of 2014 and are now available to the public for the first time ever. The “Starless” 7″ will be available in four limited editions (black/white/gold/marbled) and can be pre-ordered at THIS location. 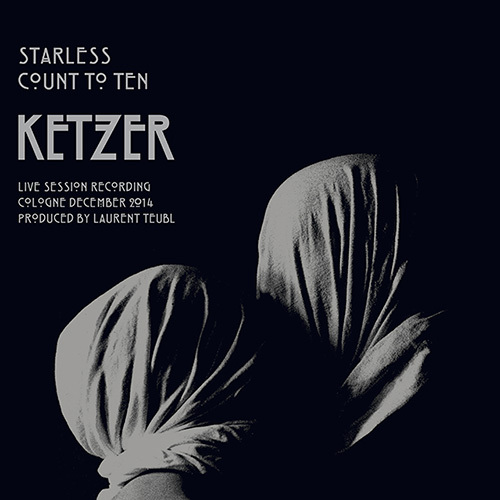 KETZER (German for “heretic”) is a highly professional and extreme metal outfit hailing from Cologne, Germany and ready to set the World afire with their new album “Starless” to be released in early 2016! More information on the album will be revealed shortly. KETZER‘s debut album ‘Satan’s Boundaries Unchained’ is one of the most critically acclaimed Black/Thrash Records of the past years. With the second album entitled ‘Endzeit Metropolis’, they have progressed in their musical direction once more. After the release of two full-length albums and playing three extensive tours throughout Europe and the United States, the band is far from reaching its peak!